Please see below the list of Partners who can effectively and efficiently get the most out of your performance testing. Serving the needs of our clients is about more than being fast, affordable, experienced and trustworthy. It’s about taking the time and having the expertise and resources to find exactly the right pathway to success for every project. It’s what we call “success-oriented solutions” and it is made possible by combining our management team’s acute technical understanding of quality assurance and testing, with our deep, highly-qualified, and fully-vetted team of IT professionals. Global Quality Partners is a strategic IT consultancy that specializes in helping C-Level executives realize targeted Return On Investment (ROI) goals for their IT systems projects. Global Quality Partners provides managed web quality service: web site performance management and comprehensive quality programs for start-ups. ITC Infotech is a specialized global full-service technology solutions provider, led by Business and Technology Consulting. ITC Infotech’s Digitaligence@work infuses technology with domain, data, design, and differentiated delivery to significantly enhance experience and efficiency, enabling our clients to differentiate and disrupt their business. The company is powered by a growing portfolio of specialized solutions addressing critical business challenges, including Industry 4.0 solutions (PLM, IoT, and Embedded), Customer Value Management, Loyalty, Trade Marketing &amp; Distribution, Supply Chain Optimization, Data Engineering and Analytics, Digital Banking solutions and Digital Agriculture solutions. The company provides solutions to enterprises in Supply Chain based industries (CPG, Retail, Manufacturing, Hi-Tech) and Services (Banking, Financial Services and Insurance, Airline, Hospitality) through a combination of traditional and newer business models, as a long-term sustainable partner. ITC Infotech is a fully owned subsidiary of ITC Ltd, one of India’s most admired companies. Rolta TUSC has more than twenty years of experience creating and optimizing large-scale IT applications and infrastructure. Our clients today have access to a global network of specialists and offices. With the expertise of over 5,000 technology specialists in nine countries, we are even better positioned to deliver large, complex projects and have greatly expanded the depth and breadth of our core services. Virtusa Corporation (NASDAQ: VRTU) is a global IT services company that combines innovation, technology leadership and industry solutions to transform the customer experience. Virtusa’s Independent Software Quality practice focuses on driving quality across the SDLC and enhancing client satisfaction while providing leading edge QA solution development. Our end-to-end QA practice aims at transforming enterprise-wide software quality and delivering value to clients using an improved QA maturity approach. Virtusa’s software QA services focus on validating business solutions, rather than just QA software. Our domain and industry focused QA services coupled with our mature processes and methodologies are widely recognized as industry differentiators. Cigniti Technologies, an independent software testing & quality consulting company offers test consulting, enterprise mobility testing, functional testing, regression automation and performance testing services. Over the last 14 years, our consultants have helped Enterprises and ISVs build quality software while improving time to market and reducing cost of quality. CresTech is a specialized software testing and QA services provider. With 300+ consultants spread across its 3 delivery centers, CresTech works with its global clients in the areas of test automation, mobile QA, cloud migration testing, and end user experience management that includes application performance and security management. Leveraging innovation at its core (with 5 provisional patents to its credit), CresTech is trusted by Fortune 500 enterprises to help them in their QA programs worldwide. CresTech’s Application performance management solution includes design and development time performance validations, Load/stress testing, Performance Re-Engineering services, and leverages a proprietary Progressive Bottleneck Identification (PBI™) methodology that helps customers uncover performance bottlenecks early in the development lifecycle. Established in the year 2001, Microexcel Inc., is a global leader in providing innovative and comprehensive software solutions. With over 1000 employees across the globe, Microexcel provides support to Clients in the areas of Microsoft Technologies (Gold Certified Partner), SAP Applications (SAP Services Partner), Quality Assurance Testing (certified partner of HP and Micro Focus), Informatica (Business Partner), IT Infrastructure, Liferay and Interactive Services. With a proven track record in providing quality, cost effective and timely Information Technology professional services and solutions, Microexcel merges people and technology which can help clients build distinctive capabilities that drive high performance. Platform Lab provides a competitive advantage to its clients by offering short term physical or remote access to IT hardware, software and massive bandwidth for all types of companies for the explicit purpose of IT testing and projects. UST Global® is a leading provider of end-to-end IT services and solutions for Global 1000 companies. We use a client-centric Global Engagement Model that combines local, senior, on-site resources with the cost, scale, and quality advantages of off-shore operations. The industry-leading expertise found within our Centers of Excellence (CoEs) plays a key role in our success with clients. Our Partner Program complements the Centers of Excellence. The program aims to develop strategic relationships with best-of-breed organizations to provide UST Global developers with advance access to new technology and educational resources. Quixxer is a company that came out of the great experience and strong knowledge in Data Intelligence, the prospection of demands originated from another company with a wide basis of corporative clients and acting on complex IT projects. Quixxer division appeared, then, with the specific focus on services and solutions of Application Performance (CPM) and Big Data, composed by a team of professionals with great technical and managerial experience in high aggregated value projects. Hengtian is a China-based technology service company that provides offshore and onshore technology development, research and consulting services for its global clients. Hengtian’s professional software quality assurance services include functional testing, performance testing, security testing, capacity planning, and application performance management. With a dedicated ‘Center of Excellence‘ team for performance engineering, Hengtian has been helping its global clients to develop customized test automation and management tools, evaluate system performance and identify performance bottlenecks. Hengtian specializes in the domains of software testing, performance engineering and training. Its mature goal-based approach and capacity to deliver globally have helped customers reduce the risk of quality assurance application performance problems. NTT DATA Services, headquartered in Plano, Texas, is a division of NTT DATA Corporation, a top 10 global business and IT services provider with 110,000+ professionals in more than 50 countries, and NTT Group, a partner to 85 percent of the Fortune 100. Visit nttdataservices.com to learn more. Helping companies since 2011 grow and take advantage of digital innovation. We help them navigate a path through disruption by determining what transformational programme investments to make, and assure that the planned benefits are realised. Our award winning, world class delivery for next generation Performance Engineering solutions combined with exceptional track record for the delivery of digital service capabilities and enablement. Utilizing our proven Assured™ Perform framework and value-driven approach to delivering enterprise-wide digital performance engineering lifecycle solutions that combine the right blend of people, process and technology change. Foulk Consulting Services (FCS) has more than 15 years experience as a high caliber, industry leading services provider of application performance testing, monitoring, and management with a strong background in software quality assurance. Foulk Consulting leads large scale Software Development Life Cycle process assessments and improvement initiatives for many Fortune 500 companies. Foulk Consulting has also delivered in-depth presentations and training on software development and testing methodologies, process improvement initiatives, testing mobile and ERP systems along with developed and delivered lasting automated testing strategies. Zero-Defect is one of Brazil’s pioneer companies in software testing and homologation. The company is an Independent Verification & Validation (IV&V) solution provider which assures software quality services to both IT buyers and IT developers. To assure a high degree of excellence, Zero-Defect has collaborators with advanced technical abilities while using an efficient QA process which comprehend functional, load and usability tests. Ananke is a private owned company with headquarter located in Sao Paulo. In the market for more than 13 years providing services to advertising agencies and companies with a lot of online and media presence with high traffic and consumers. Ananke develops and deliver complex hosting solutions, cloud computing and infrastructure services, monitoring systems and management tools were developed with its own technology for all the main platform environments to help its clients to achieve their results. Choucair, as a pioneer of software testing services in Colombia, through outsourcing, dedicated solely to software testing, performs activities to increase dissemination and projection of the testing service and to emphasize its benefits for business development and the country; it creates spaces for learning and acculturation through conferences and briefings within the private and public sectors, universities and media, among others and leads business groups of the industry in Colombia and Latin America. Link IT is a company from the LinkPartners group, which has earned the trust of large multinationals and market leaders. We operate in the market as talents and highly experienced company’s aggregator in every segments. This gives the ability to scale the solutions our customer’s want, since for a given project we partition technical specialties with the best companies and professionals in the market. Thus, Link IT achieves the objective of organizing and managing the structure of the projects developed, having in its portfolio the very best individual talents and companies, to provide the technology services your company requires. TelChile is a Consulting and Professional Services Company in the area of computer security, with more than seven years of successful experience in corporate clients. Our main strength is the solid experience of our people in the Assessment Platform, Computer Security and Regulatory Compliance. As part of Choucair Testing SA internationally expansion, leader in software testing service in Colombia, Choucair has presence in Peru with the company Software Testing Peru S.A (STP) to provide this service to companies who submit business developing highly dependent on information systems such as the financial and telecommunications sector, among others. With technology and innovative services, STP provides to the companies in Peru a new alternative to improve the effectiveness and efficiency of their processes. Argentum Inc is a company dedicated to provide software quality assurance services (functional testing, performance testing, code analysis and programming standards, stress testing, security testing, outsourcing), software development and software engineering consulting, based on best practices of RUP (Rational Unified Process). Intechnica, the IT performance experts, specialise in making sure business critical IT systems are fast, reliable and robust. We provide performance testing, monitoring and engineering services, as well as designing and developing systems to perform. Predictive Consultancy B.V., founded in 2007, is an independent consultancy firm specialized in the areas of performance and capacity management. The main service offerings are network (re)design, troubleshooting performance problems and load- and stress testing applications and network infrastructures in complex ICT environments. We provide our clients with a flexible service delivery model that is designed to enhance their ability to cost-effectively leverage our expertise. For more information about Predictive Consultancy visit www.predictive.nl. We make customers‘ lives easier primarily by being the expert in ICT technologies and in the execution of ICT projects and outsourcings programs. That way we remove the complexity that is inherent in that entire ICT domain and we allow customers to concentrate on what their company needs to do. We help enterprise organisations implement high-quality software faster and operate IT systems securely. We are a group of commandos – consultants with deep engineering backgrounds. Our partners are leading software producers specialising in market niches. We know how to fit all the necessary tools together – transforming the software delivery process. Mitigation of software and configuration vulnerability to hacking has our constant attention. Soflab Technology is a leading and fast growing Polish company present on the IT services market since 2008. We offer full range of professional IT testing and Quality Assurance services. Today Soflab Technology employs more than 100 specialists including 80 ISTQB Certified Testers. Since the beginning of market activity we have been involved in large and complex IT projects. Our Customers are the major Polish telecom operators, media, banks, insurance companies, public entities and many others. Currently Soflab Technology is also developing its activity outside Poland offering its services to Customers from CEE region. For more information about Soflab Technology please visit www.soflab.pl. Symbio designs and develops feature-rich products for companies embracing transformational advances in communications and technology. By leveraging their deep expertise in enterprise, embedded, mobile, Web-based and user experience driven technologies, they enable their clients to focus on their core competencies while building mission-critical products to sustain, speed and secure the long-term success for the business. With offices located in Asia, Europe and North America, Symbio is the outsourced product development partner to deliver truly integrated global reach with local touch. Devoteam ist ein im Jahr 1995 gegründetes IT-Beratungs- und Dienstleistungsunternehmen und ein bevorzugter IT Transformationspartner an den Kreuzungspunkten von Business und Technologie. Die Kombination von Beratungs-Know-how und technischer Expertise zeichnet Devoteam als unabhängigen Berater aus und qualifiziert Devoteam als Lieferant von effektiven Lösungen, die die Kunden zur Erreichung ihrer strategischen Ziele befähigen. Unsere Geschäftsfelder umfassen IT-, Cloud- und Network-Transformation, IT Service Excellence, Mobility, Risk & Security sowie Data & Information Management. In addition to many years of experience in designing and developing application systems, we offer our customers in-depth specialist knowledge for optimizing and stabilizing their business processes. With around 400 employees at 12 locations in Germany and Switzerland, the PTA Group provides on-site support for customer in various industries, ensuring reliable, rapid-response and cost-effective services. With the founding of DATIS IT-Services GmbH, the business segments for shop and developing standard software for the logistics sector were taken over from a service provider that had long been active in this field. As a result, we can also offer our customers managed hosting and cloud services, both in development and in live operation. SEQIS Consulting: If you want to systematize and optimize your tests or you test process, SEQIS will be a competent partner and advisor (SEQIS Consulting for conception and implementation). Implementation: SEQIS Know-how will be available during the implementation of – automatic and manual – software tests. Our SEQIS Testlab adapts itself flexible concerning requirements and demands. Products: Besides our supply of services we are developing our own test tools as well as providing and reselling partner Products and offering trainings (e.g. NeoLoad) to our customers. ANECON entwickelt innovative Individual-Softwarelösungen, ist Marktführer im Bereich Software-Test und bietet hochwertige IT-Beratung und IT-Trainings. Prozesskompetenz im Projektmanagement und Entwicklungsprozess, bewährte Produkte, exzellentes Know-how und umfangreiche Erfahrung sowie ausgezeichnete Kommunikations- und Teamfähigkeit legen dafür die Basis. 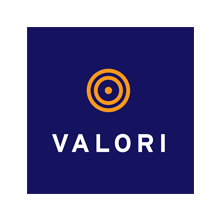 ValidIT proposes consulting services focused on business process validation, performance validation and service level of automated business processes in pre-production and pre-deployment phases as well as for production monitoring systems. As a software provider, ValidIT has created it own solution named VITAM for Business Activity Monitoring (BAM) which allows to follow the activity and the quality of the automated business processes throughout the entire architecture. A key player in the IT governance area, Itecor is a consulting firm for large enterprises. Our mission is to align IT and corporate strategy. To achieve this, our energy is focused on optimising the performance of an IT department within a business organisation. Ever since the creation of Itecor in 1992, the firm has channelled its attention on listening to and understanding its clients‘ needs. Today, thanks to our experience in providing high added-value consulting and tailored solutions, Itecor has won the confidence of market-leading clients and relies on a team of 150 consultants based in 3 countries: Switzerland, France and Mexico. Adservio est une entreprise spécialiste dans l’ingénierie de la performance applicative et experte en assurance qualité technique et en nouvelles technologies. Adservio intervient pour améliorer la qualité, la performance et la disponibilité des services métiers informatique critiques et stratégiques. Adservio propose des services d’industrialisation des tests et des audits des performances applicatives afin de garantir la continuité et la performance de vos services informatiques. Les interventions adservio s’inscrivent dans une logique d’excellence technique. Elles font intervenir, une équipe disposant d’un savoir-faire, d’une expertise technique de très haut niveau et d’une méthodologie éprouvée. Adservio intervient sur des projets critiques, propose des services innovant comme le cloud testing NeoLoad sur les sites web chronopost.fr et collisimo.fr. Ses consultants réalisent des tests et des audits de performance pour le compte de la RATP, Rexel, Geopost, Ministère de la santé, Socomec et Euler Hermes. SIGMA IT TEST propose une offre intégrée dédiée à la Qualité logicielle et aux tests au regard du budget et des enjeux client. Nous adressons les activités qualification fonctionnelle, qualification technique et maîtrise des environnements tant en délégation de ressources qu’en centre de services. CDH Coraud est une société existant depuis plus de 10 ans, SSII à taille humaine, nous intervenons principalement pour des clients grands comptes (CAC 40). La société est décomposée en centre de services : Centre de services Bench et Capacity planning, Centre de services développement et TMA, Centre de services conseil et AMOA, et Centre de services SAP. Créé en 2008, Aliecom est une société spécialisée dans les tests de performance et l’optimisation des infrastructures applicatives. Aliecom dispose d’un pool de consultants spécialisés dans la performance. Nous œuvrons principalement avec les grands comptes mais également avec les PME et les ETI. Henix est une société „pure player“ en qualité logicielle. En expertise ou en centre de service, nos 120 consultants aident nos clients grands comptes à piloter leurs développements et leurs intégrateurs grâce à la qualité logicielle. Nous animons également le Club Qualité Logicielle depuis 2005 ainsi que l’Ecole éponyme. Enfin, nous sommes éditeurs de la suite open source Squash. Pour les tests de performance, nous apprécions la pertinence et la productivité de l’outillage fourni par Neotys. AEROW PERFORMANCE est le nouvel acteur spécialisé dans la performance des systèmes d’informations. Filiale du Groupe AEROW, acteur majeur de l’ECM, du BI et du Digital avec plus de 200 consultants, l’offre performance adresse 3 axes principaux : – Les tests de performance (charge, stress, limite, robustesse) – L’architecture (cadrage, sizing, optimisation) – La disponibilité et la surveillance des performances en production (transfert de compétence et offres SAAS) Nous proposons des prestations en régie ou au forfait pour des projets ponctuels ou de longues durées. AEROW PERFORMANCE est expert sur les offres NeoLoad et NeoSense. Emerasoft is an Italian company providing IT products and services. Founded in 2005 Emerasoft specialize in solving complex technical challenges, especially in the areas of Application Lifecycle Management, Software Testing, DevOps, User Experience Improvement, Open Source, Service Oriented Architecture, Business Process Management & Discovery, Security, Embedded Software Development, Business Process Management & Discovery, IT Service Management, Digital Publishing & App Development. Emerasoft operate in the fields of Automotive, Telecommunication, Manufacturing, Finance & Banking, Public Administration, Energy & Utility serving worldwide relevant customers such as Ferrero, CNH Industrial, Lombardia Informatica, Fiat Chrysler Automobiles, Finmeccanica, Ferragamo. DVT provides a comprehensive range of solution and resource services across the entire software development life cycle. DVT was founded in 1999 and today, with over 400 staff members, services more than 100 large and medium sized organisations throughout South Africa and abroad. – to improve IT processes, leveraging CMMi and ITIL best practice. Acial deliver those services for large organizations with critical IT systems in various industries like banking, financial services, insurance and logistics. With more than 10 years of experience and over 100 consultants, Acial is one of the leading companies in its market in France. Located in Paris and Nantes, Acial develops its activities in France and Europe. Most of Acial consultants are ISTQB (International Software Testing Qualifications Board) certified. – De l’Ingénierie des Organisations incluant l’accompagnement des collaborateurs à l’évolution de leur périmètre. Reconnu par plus de 150 clients, Occterra étudie l’architecture la mieux adaptée à votre situation et vous propose un hébergement performant ainsi que du service sur mesure sur notre plateforme sécurisée et totalement redondée. LK Test Solutions was founded in 2005 as a provider of software testing services and solutions. By focusing on software testing, LK Test Solutions offers a strong expertise in load and performance testing as well as functional testing and in particular with test automation. Our pursuit of excellence and our well trained and experienced manpower ensures highly efficient services and best results for a wide range of industries. imbus is a specialized solution provider for the quality assurance and testing of software. Our portfolio includes consulting for process improvement, software testing services, test outsourcing, test tools, and training. With our comprehensive know-how, the latest tools, and our proven methodology, we increase the reliability and performance of software products, software-intensive systems, and complete IT structures, and as a manufacturer-independent partner, we assure their correct functionality. Dynamic Testing Solutions focuses on implementing and improving governance and quality within the IT arena. Through the application of highly experienced people, ‚best of breed‘ tools and processes, Dynamic Testing Solutions achieves marked improvements in our client’s productivity and quality within the IT development and delivery space. Quality Certain is a consulting firm that specializes in the area of Software Development, Software Testing and Certification, Quality Assurance, IT & Business Transformation, Process Improvement and Software Security. From Requirement Gathering to Implementation, we assure reliable, tested and scalable software to help organizations build and sustain their brand image. Buitech is a software testing company that provides independent and objective manual testing, test automation, performance testing and test consultancy services to small, medium and large enterprises. The company is based in the United Kingdom and in the capital city of Vietnam, Hanoi. Nilaas is an established UK based consultancy company. We offer professional performance testing services with innovative Performance Engineering Framework. Nilaas performance engineering practice guarantees excellent business applications performance in any domain, technology, protocol, load and infrastructure. Nilaas Consultants can bring many benefits to your business by improving systems and environment performance. All our consultants are highly-skilled professionals with many years experience. We can offer flexible performance testing solutions with Neotys performance test tool for your testing needs. QualiTest is the world’s second largest pure play software testing and QA company. Testing and QA is all that we do! We design and deliver contextualized solutions that leverage deep industry-specific understanding with technology-specific competencies and unique testing-focused assets. QualiTest delivers results by combining customer-centric business models, critical thinking and the ability to gain a profound comprehension of customers’ goals and challenges. Une organisation agile et structurée pour garantir un niveau de réactivité en adéquation avec les besoins de ses clients. Edge Testing is an established UK based company providing world-class software testing solutions and boasts some of the UK’s premier testing thought leaders and consultants who are experts in performance testing, test automation and test management. We also offer a unique service specifically designed to help organisations implement load testing to identify the risk that may already exist within your system and show you the benefits of addressing them pro-actively. We are typically engaged when organisations are implementing a new system or making changes to an existing one, ensuring systems are fast, secure, available and work as expected in an increasingly complex digital age. We test back office systems, e-commerce sites and apps, accessing these from multiple devices including desktops, laptops, tablets, touchscreens and smartphones from our purpose-built device lab. Purview Services is a consulting and professional services company who can add value to your business by providing strategy, architecture, implementation and integration services. We provide services that brings extensive knowledge and experience to leading global customers specialised in strategic areas such as Digital transformation, Cloud, Payment platforms, Agile, Data Analytics, DevOps, Automation, ERP and integration services. Our core strength is providing testing services in Performance Engineering, Security, usability, accessibility, vulnerability and cloud testing. Purview Services is also a Salesforce (SFDC) Implementation and ISV Partner, expertise in product development, Projects and Consulting across the regions. We also have developed SFDC product called i8 and deployed in major financial organisations. Our focus areas are in Banking, Financial, Government, Infrastructure, Supply Chain and Engineering sectors. Sword Performance Solutions (formerly known as adhoc International) is the APM expert and Performance Engineering Pioneer in EMEA offering IT Performance Management Consulting and Engineering Services across the entire Application Life Cycle. We deliver the engineering, architecture, technology and strategy solutions you need to achieve cost-efficient and state-of-the art IT Performance Management. Based in Luxembourg, q-leap is a consulting company with deep expertise in software quality. With over 40 experts in software engineering, testing and quality assurance, architecture, business analysis, IT integrating and project management, q-leap offers a pragmatic approach, focused on the implementation of application lifecycle management processes that enable IT teams to concentrate on their application delivery. Depending on the customer needs, q-leap can deliver its competencies though consultancy, audit, expertise, training and coaching as well to help organizations move their business forward confidently. Our aim is to help our clients consistently deliver more intelligently, and therefore increase profitability through efficiency and automation. We provide transparent pricing structures, flexible working models, and work in partnership with our clients and talent networks to ensure results are consistently delivered, and projects are launched without fail. Quenta Solutions, provides Added Value Services based in Application Performance Management (APM) solutions, which allows real time tracking of every business transaction according to the User Experience (real or synthetic), regardless of the underlying technologies and infrastructures. Quenta Solutions covers Operational Analysis, which allows to compare the impact caused by version changes along the time or the infrastructure scalability and resources consumption. On the other hand, the Application Analysis correlates application metrics with the business, detecting trends and patterns during the service execution period to take the best decisions according to the information retrieved. Established in 2008, Affluent Technology is a consultancy company specialized in Engineering Design and IT services. With a strong team of almost 200 employees operating from our 6 offices in UK and India, we are proud to serve as solution providers to our clients, who are today’s leaders in Automotive, Aerospace and Information Technology. Right from product design & development in engineering to software application development and testing in IT, we help our customers with bespoke solutions. Our highly skilled and passionate consultants, who are one of our key strength, continue to work closely with our clients to provide the necessary functional expertise and strategic insights that help to provide customised solutions to each of their individual project needs. Quality is our mission! We support our customers on their path to a sustainable quality approach considering the whole value chain from idea to customer relation. The system behavior in terms of response times is a key success factor and should not be left to chance. We assist implementing test strategies covering all quality aspects. As a certified Neotys implementation Partner we are equiped with the knowledge to design, run and assess load and performance tests in effective and efficient manner. AccessHQ applies the discipline of testing to solve business problems. We support our clients with the best tools, techniques and people available to ensure technology enables a quality customer experience. With offices all over Australia and in Hong Kong, our team of test managers, test engineers, usability, performance, automation and accessibility consultants ensure efficient and effective testing outcomes. All aspects of testing are conducted in an independent and rigorous manner, providing risk management to enable a smooth introduction of new products, applications and services. Over the past thirteen years, Access has comprehensively tested over 3,500 systems, software applications, web sites and interactive products. Sonata Software, headquartered in Bangalore, India, is a global IT consulting and Services Company with a deep focus on software testing. Sonata’s Independent Testing Practice provides end to end testing services to customers which includes, Test consulting, Functional Testing, Test Automation, Performance Engineering and Security Testing services. Sonata’s 3 point strategy of consulting led approach, IP enabled solutions and innovative delivery models enables delivery of high performing and reliable solutions that help clients achieve their business goals. Our mature processes, metrics-based approach and Global Delivery Capability, helps customers reduce the overall cost of quality and improve application performance. Ticking Minds Technology Solutions is an IT services and products firm headquartered in Chennai, India. Founded by professionals with rich experience in providing validation solutions for leading global corporations, Ticking Minds is set up with an objective of providing assurance and testing services. Our offerings include a range of services across Performance Testing, Test Consulting, Service Assurance and Training, across all industry verticals. Ticking Minds is run by a team of professionals with rich validation and assurance experience having worked with leading global corporations with 15+ years of average experience. We work with companies of all sizes from large multi-nationals through to small-medium enterprise. We provide flexible engagement models and our services can be delivered either on-site or off-site across the Asia Pacific region. Experior is a quality assurance and software testing company that provides consulting, implementation services, staffing solutions, and introductory and advanced training to ensure the successful adoption and deployment of performance testing solutions. We have practical experience in the execution of Web, RIA, Cloud and CRM testing engagements delivered in Australia/New Zealand. Founded in 1997, WeSoft is a leading outsourcing service provider in Hong Kong. With its unique Tri-partite Outsourcing Model, WeSoft proudly offers its client a full range of software development, and QA services which includes localization and porting. WeSoft is ISO9001:2000 certified and a S/W CMM Level 3 organization. ZenQ is an IT services company, with special focus on testing services – such as Performance testing, Security Testing, Functional testing, and Test automation etc. With a dedicated Centre of Excellence team for Performance testing, which is responsible for ongoing R&D and implementation of best practices, we’ve been helping our global clients in identifying performance bottlenecks, assess capacity and judge application’s ability to support anticipated user loads. We specialize in Capacity assessment & planning, Application performance & stability assessment, Performance bottlenecks identification & tuning, and Performance consulting. QAAgility specializes in the niche areas of Software Testing, providing Consulting, Resourcing, Training and Products to help our clients improve their Testing Processes and Quality. The company was founded in 2008 with a goal to give cutting edge and customer-focused services to the clients in a cost effective and innovative way. Our core team comprises of senior Software Testing Professionals having more than 80+ person years of experience among them. We focus to implement Quality and Testing Solutions for our clients in order to meet their timelines, budget and quality goals. Our ready-to-use and highly customizable utilities and frameworks in performance and functional testing area has given a definite RoI to all our clients. Simple Solutions Systems or SIMSYS as we call ourselves is a Singapore Based IT Solutions Consultancy and Development Company. We specialize in System Infrastructure and Software Solution Development. At SIMSYS, we believe IT should mean an improvement in productivity, and that any solutions we provide should come with the utmost simplicity where it counts: to you and your business. Since 1995, Inchalbase has been aiming to provide the clients the best experiences and satisfaction. Inchalbase always gives the most suitable solutions for load testing, and monitoring solutions to its clients. Larsen & Toubro Infotech (NSE: LTI) is a global technology consulting and digital solutions company, helping more than 250 clients succeed in a converging world. With operations in 27 countries, we go the extra mile for our clients and accelerate their digital transformation with LTI’s Mosaic platform, enabling their mobile, social, analytics, IoT and cloud journeys. Founded 20 years ago as the information technology division of the Larsen & Toubro group, our unique heritage gives us unrivaled real-world expertise to solve the most complex challenges of enterprises across all industries. Each day, our team of more than 20,000 LTItes enable our clients to improve the effectiveness of their business and technology operations, and deliver value to their customers, employees and shareholders. Find more at www.Lntinfotech.com or follow us at @LTI_Global. Core Consulting is an established DevOps consulting firm that has helped major organisations in ASEAN from various industries including banking, insurance, government agencies, telcos, education and corporates to improve their end-user experience and overall application performance. Through proven DevOps practices coupled with strategic APM deployment and performance testing, we have helped organisations to migrate/enhance their core systems, software and critical applications successfully without any major performance incident when system goes live. Development and Maintenance, Infrastructure Management, and Business Process Management. Focused on Digital Services, the Company is helping businesses design agile, scalable and digital operating models. NIIT Technologies adheres to major global benchmarks and standards of quality and Information Security. For further information, please visit www.niit-tech.com.